The Wizard World Madison convention launches its first show this coming weekend. 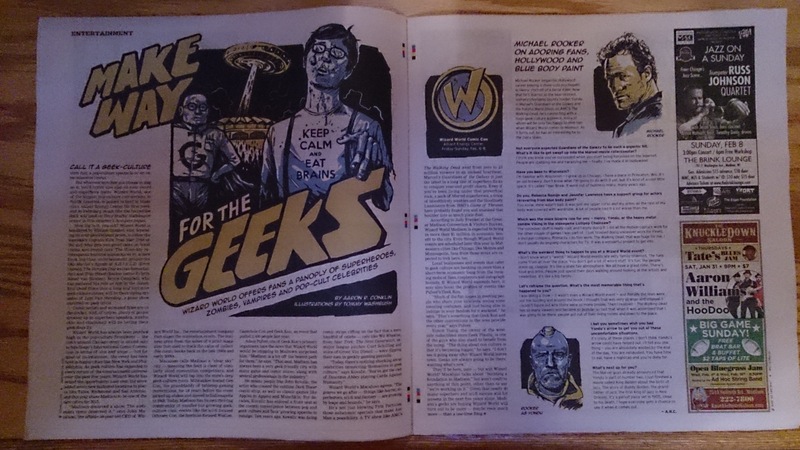 It’s already getting a good amount of local press, like this two-page spread in the local free weekly, Isthmus, emphasizing how geek-friendly our city is. Wizard World Madison is expected to bring in more than $1 million in economic benefit to the city. Even though Wizard World events are scheduled later this year in Midwestern cities like Chicago, Des Moines, and Minneapolis, fans from those areas are expected to trek here, too. It remains to be seen whether there will be a second Wizard World Madison, since the company hasn’t committed, sensibly waiting to see how this weekend’s show goes. Isthmus is also running a contest for the next two days to win VIP tickets to the show. Another article was on the front page in last Sunday’s local paper, the State Journal. The comic store photo with it is my local store, Westfield Comics. 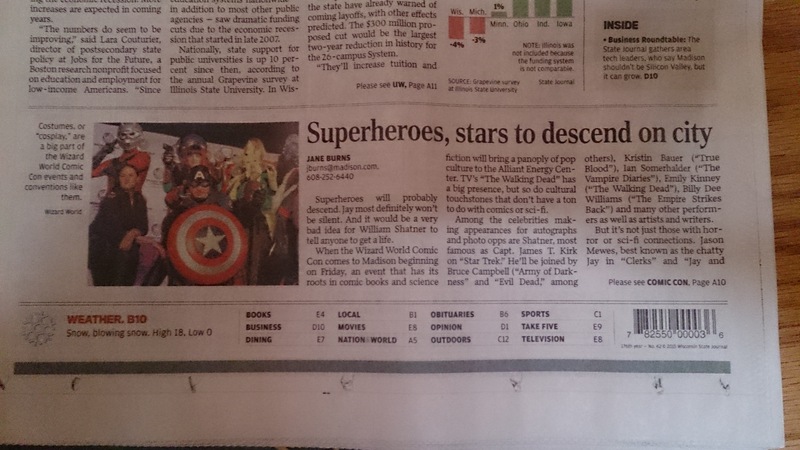 And I’m glad to see that article go beyond the usual superhero/zombie mentions.